The latest issue of the European Language Gazette is now available, and contains useful reports and updates on many issues, including full reports on the major Council of Europe Conference on multilingualism in March 2014, as well as videos of the talks and discussions. The Council of Europe together with the National Relays for the European Day of Languages (EDL) have started preparations for the 2014 edition of the Day. Last year proved an immense success with more visitors to the EDL’s website than ever before and over 620 events entered into the activities calendar. Get an impression of the range and scope of the events through the 2013 photo gallery. The website is now available in 26 languages. In preparation for the Day we are launching a contest for the best photographic representation of language learning. The contest provides an opportunity to share your perspective on language learning through the language of photography. This could for example be a photo of your language class ‘in action’ or use a more abstract or artistic approach — all entrants are welcome. Above all, entries should reflect the enjoyment of language learning! More information about this initiative will be published on the EDL website and in the next issue of the Gazette. We will be adding to the large array of materials already on the website and encouraging users to feed in their contributions and suggestions. In addition to the photo competition, among others, we plan to develop: a new area of the site which highlights unique features of individual languages, and a game on sign languages. We will also be continuing the ‘Teachshare’ section on the site where we encourage teachers to share materials they have developed for celebrating the Day with colleagues all over Europe. In addition to ‘Talk to me’ stickers and lanyards and ‘Hello’ posters, this year we will also be offering a limited number of EDL key rings in a variety of different colours. If you are planning to organise an event around the European Day of Languages, you can promote it on a European level by recording it in the events’ calendar on the EDL website and order promotional items from the National Relay in your country. We will keep you informed on the latest developments via our next newsletter issues. The “Quality education and language competencies for 21st century society: traditions, challenges, visions” organised under the Austrian Chairmanship of the Committee of Ministers of Council of Europe (Graz, Austria, 20-21 March 2014) proved a major success. Language acquisition as a key competence for the future of Europe, multilingualism, quality and innovation in language education were the issues under the spotlight at the high-level conference. The event was attended by 150 experts and decision makers — a further 2,200 viewers from all over Europe followed the event via live stream. The “Quality education in Romani for Europe” (QualiRom) initiative has published an extensive databank of teaching and learning materials for teachers of Romani (http://qualirom.uni-graz.at). The materials developed in six Romani varieties range from proficiency levels A1 to B2 for learners at primary, secondary and tertiary levels and constitute the largest resource of its kind for the teaching and learning of the Romani language based on European standards. The databank comprises 39 sets of materials (some 16 000 pages!) in Arlije, East Slovak, Finnish, Gurbet, Lovara and Kalderaš. The materials use a task-based approach and can be adapted to the specific needs of particular educational contexts. 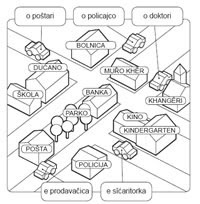 To ensure their effectiveness in the classroom the materials have been developed and piloted in close cooperation with local Romani teachers as well as national educational authorities in five countries: Austria, the Czech Republic, Finland, Slovakia and Serbia. During this process children who used the materials developed learning skills – such as the ability to make decisions when working in pairs or groups and to evaluate their own learning – that may not have been encouraged within their mainstream education. The QualiRom initiative focusing on raising literacy levels in Romani was carried out under the European Commission’s Key Actions 2 programme. In training teachers of Romani the 3-year project made extensive use of the Curriculum Framework for Romani (CFR) and two European Language Portfolio models developed by the Council of Europe’s Language Policy Unit in co-operation with the European Roma and Travellers’ Forum. The ECML together with the other project partners and the project coordinators, the Plurilingualism Research Unit, Karl-Franzens University (Graz, Austria), will examine possible follow-up measures to further promote the use of this impressive resource both in teacher development programmes and directly with learners in countries with Roma populations. 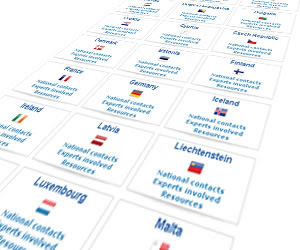 The platform provides information about the national representatives to the ECML (Governing Board members, National Nominating Authorities, National Contact Points, national relays for the European Day of Languages, national contacts for the European Language Portfolio), experts involved in ECML activities, as well as resources and information sources relating to language education. Currently it covers 43 states. A workshop for ECML National Nominating Authorities and National Contact Points took place in Graz on 12-13 June 2014 to discuss further developments related to the process of nominating experts for ECML events, the next programme of the ECML 2016-2019, dissemination initiatives and impact of the work of the ECML. The FREPA country page for Armenia (in Armenian) offering useful information on pluralistic approaches in the country is now online. Piloting pluralistic approaches: The YSULS Centre for the Implementation of Council of Europe Language Education Programmes piloted teaching materials based on pluralistic approaches in Yerevan’s N20 secondary school from March to April 2014. The aim of the piloting was to try to estimate the extent to which FREPA approaches could be implemented in the Armenian secondary education context in advance of an ECML training and consultancy workshop scheduled on this theme in October. The materials chosen had to deal with the FREPA awakening to languages, integrated didactics and intercultural approaches + CLIL as other approach. The languages involved included: Armenian (as mother tongue and language of schooling), Russian, English, Arabic and French. The results of the piloting are in the process of discussion and consideration. The next international workshop in Armenia on “Plurilingual and intercultural competences: descriptors and teaching materials” (YSULS, Yerevan, 1-3 October 2014) will seek to enhance plurilingual and intercultural education in Armenia both at grassroots level (teacher trainers and classroom teachers) and at policy level (curriculum design and reforms of educational policies in Armenia). The target groups and stakeholders are policy makers, teacher trainers, curriculum developers, school and university teachers of Armenian, Russian, English, French, German, student teachers from the YSULS Chair of Pedagogy and Methodology. AUSTRIA: latest e-newsletterÖSZ Sprachbox, e-newsletter, May 2014 (in German). Discover the National Contact Point’s website http://ecml.dk/ (available in Danish) dedicated to the work of the ECML including information about projects, workshops and other events, participation and networking opportunities, as well as ways to stay informed about ECML related developments. Courriel européen des langues, CIEP e-newsletter (in French), June 2014. 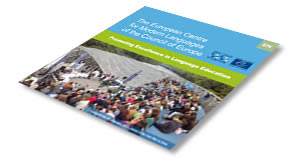 Given the growing importance of multilingualism in an increasingly interdependent world, the Standing Conference of Ministers of Education and Cultural Affairs for the Länder (KMK) has formulated a set of guidelines and areas for action for a future-oriented foreign language teaching in its recommendations for the strengthening of foreign language competence — “Empfehlungen zur Stärkung der Fremdsprachenkompetenz” (KMK decision of 08.12.2011). The first foreign language classes already take place in primary school. This relates principally to grades 3 and 4, and in some Länder, to grades 1 and 2. The changing needs of society and beneficial conditions facilitating language acquisition for this age group are two of the reasons for the inclusion of foreign language learning in primary education. The report of the Standing Conference provides an overview of the specific situation in the individual Länder: “Fremdsprachen in der Grundschule – Sachstand und Konzeptionen 2013” (KMK decision of 10.17.2013). The report “Konzepte für den bilingualen Unterricht – Erfahrungsbericht und Vorschläge zur Weiterentwicklung” “(Concepts for bilingual instruction — Review and suggestions for further development)”; provides information on the current state of bilingual teaching (content and language integrated learning, CLIL) (KMK decision of 10.17.2013). In the past the Standing Conference has repeatedly dealt with the further development of foreign language education. A particular focus has been the development and introduction of nationwide educational standards for the continuation of the first foreign language (English / French) for the general higher education (KMK decision from 18.10.2012). This made it possible to describe realistic yet ambitious educational goals in terms of competences and task formats. The report of the Standing Conference “Zur Situation des Französischunterrichts an den allgemein bildenden Schulen in der Bundesrepublik Deutschland” (drafted on 20 March 2000 and amended on 5 June 2013) shows how the “partner” language could be strengthened through bilateral cooperation, using the example of teaching French in Germany.The Länder give special attention to activities promoting neighbouring languages. For example, the “Franco-German Day” which was celebrated for the first time on 22 January 2004 in Germany and France has become a well-established fixture. The “German-French Day” activities dedicated to Franco-German relations now take place during almost a whole month. SWEDEN21 flyer publications of the ECML programme of activities 2008-2011 translated in Swedish by the National Agency of Education, Stockholm (National Contact Point for the ECML in Sweden). European resource centre on education for intercultural understanding, human rights and democratic citizenship. Troncy, Christel (dir. ); de Pietro, Jean-François; Goletto, Livia; Kervran, Martine (collab.). Didactique du plurilinguisme. Approches plurielles des langues et des cultures. Autour de Michel Candelier. Rennes : Les Presses universitaires de Rennes, 2014, ISBN : 978-2-7535-2913-7, 514 pages. 18-19 February 2014). This conference enabled to exchange information about using the EPOSTL in pre-service teaching, teaching practice, in-service teacher development; EPOSTL-related publications; research on EPOSTL (articles, dissertations etc.) and innovative uses and the scope of the EPOSTL. The Council of Europe’s training and capacity building programme for all education professionals in Europe.